"Can I ask you a question.."
. "..see now why is this art?" pointing at a piece on the wall. A photograph surrounded by reclaimed wood. "I can do this" came his follow up. I smiled, not only because it was a valid question but also because he obviously had no idea he was talking about one of my pieces, a piece created by AI+MK. 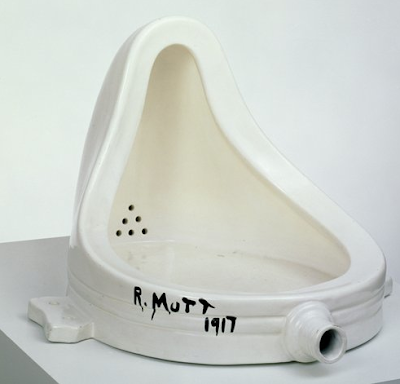 We entered a long and very frank discussion about what constitutes art, why was Marcel Duchamp able to take a toilet and call it art, why Picasso's disfigured portraits are art, why a black canvass with a red line is art and why reclaimed wood framed around an image is art. Long story short, I really enjoyed talking to him, attempting to answer his question. I think it is a very honest and valid question and I am glad he asked it. Not because I feel like I did a great job in my reply or feel validated by it but because I ask myself the same thing sometimes. It was refreshing to be on the other side of the coin and try to answer it for someone else, to think out loud. I think we opened a new window of understanding, but not necessarily one of recognition. To him Michelangelo created art, but Picasso didn't- and that is the beauty of it, it is his right to see it that way and nobody should tell him differently. Art is Art because the viewer, regardless of who he or she is, decides it it. Not because a gallery in Chelsea told you it is, and not because the New York Times told you it is. Because you felt something or thought something. "They say you're left lobe is art, and your right does all the technical stuff, well i think mine is all right, not very symmetrical" was his last remark. So why is this art?